we can install a mitigation system in your home to reduce the radon to a safe level. Adding a fireplace to your home creates a comfortable place for you and adds value to your home. We have qualified, licensed team members who will make your fireplace look like it was there from the start. 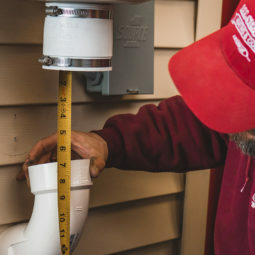 With proper installation, sizing and maintenance, your system will operate at maximum efficiency and last much longer than if it was not maintained. Call our office today to sign up! Since 1985, All Seasons has served the Tri-State area, working with thousands of local businesses and home owners. 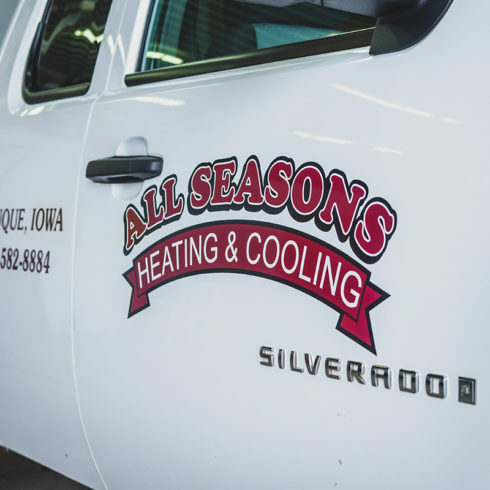 Our goal is to provide you with year-round comfort, and our commitment to you and your needs sets us apart from our competitors. We offer the most innovative and efficient products from the country’s most trusted brands, including Lennox. 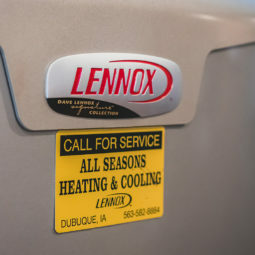 Because Lennox product lines are manufactured in Marshalltown, Iowa, we are pleased to have the opportunity to supply our local consumers and businesses with local products. We are a Centurion award-winning establishment and are proud to install product lines that carry a trusted name. 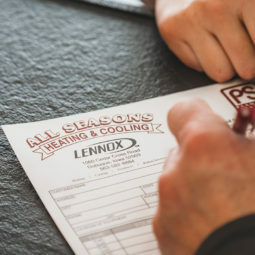 Upon receiving these awards, All Seasons Heating & Cooling ranks in the top 75 dealers in the North Central Region (covering eight midwestern states). 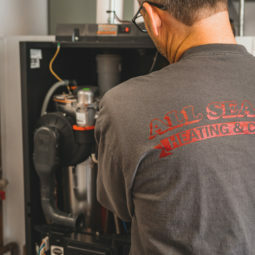 Our success rests upon a strong foundation created by our founder, Joe Mettille, who has worked in the Heating, Ventilating, and Air Conditioning industry since 1977. We extend a heartfelt thank you to all who have contributed to our growth and presence in the community. If a radon problem is detected, we can install a mitigation system in your home to reduce the radon to a safe level. We are Iowa Certified Radon Mitigation Specialists. When it comes to installation, we have qualified, licensed team members who will make your fireplace look like it was there from the start. replace and install your hot water heater for you. Joe and all of the crew were very friendly and competent. Very satisfied with service. Only got quote from All Seasons because I have been more than satisfied with your service. From the time we called, the air & heat were installed within a day & a half. The crew even came on Saturday to finish the job. They were courteous and laid tarps & did a great job! We proudly support our community!